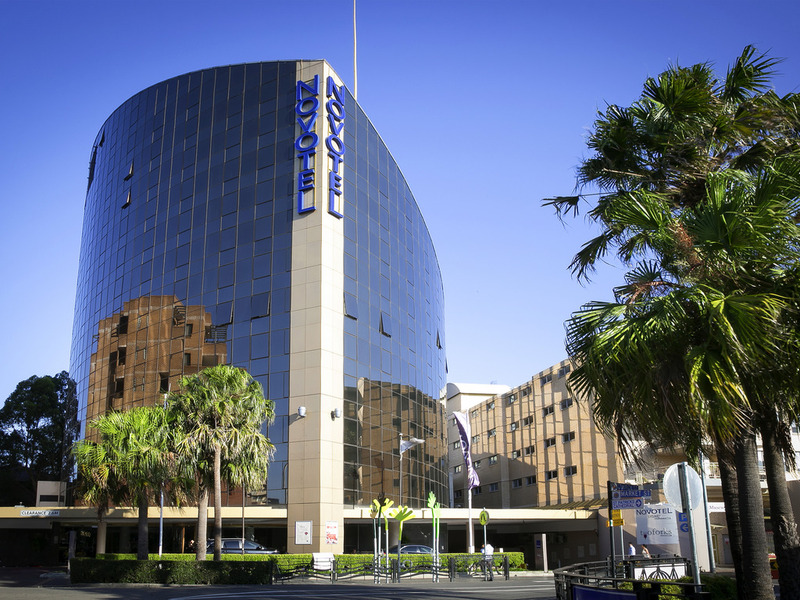 Experience 4.5-star comfort at Novotel Sydney Parramatta, located on the river in the heart of the city's booming west. Warm, earthy tones and contemporary decor provide an urban haven in your room. Enjoy a delicious, nourishing breakfast at the 350 Restaurant and Lounge off the sunlight atrium to get your day off to a bright start at Novotel. With Parramatta's free CBD shuttle bus on the doorstep, Novotel Sydney Parramatta makes it easy for guests looking to explore Parramatta. Parramatta train station and ferry terminal are also within walking distance, offering easy access to Sydney CBD. Featuring a spacious design and contemporary décor, guest rooms at Novotel Sydney Parramatta provide a peaceful and relaxing setting that's sure to offer a restful night's sleep. Guests looking for hotels in Sydney can choose from 194 modern guest rooms and suites, with Superior, Executive and Spa options available. Each room features an LCD TV with Foxtel and in-house movies, Wi-Fi access, a work desk, an ensuite with shower and bath, air conditioning, a minibar and tea and coffee making facilities. Amongst 'Eat Street' - Parramatta's dining district, 350 Restaurant and Lounge offers a relaxed and contemporary atmosphere with a delicious seasonal menu with dishes inspired by modern Asian fusion cuisine made with locally sourced fresh ingredients. Adjoining the hotel lobby with an outlook onto the picturesque Prince Alfred Park, the 350 Restaurant & Lounge in Parramatta is one of the most ideal Bars in Parramatta that offers the perfect atmosphere to relax with a light snack and drink.